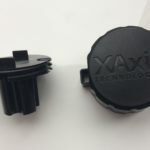 Injection molding process is never complete without using the best resins for the final product. With a high number of resins available, it can be a daunting task finding the best resins for a given product. This wide variety of resins opens doors for unlimited design opportunities and functions. 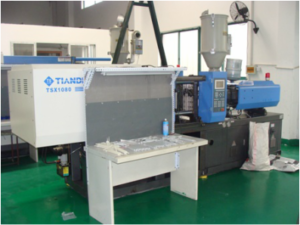 In this article, we are going to look at the most common resins used in injection molding process. When selecting the resin to use it is important to start by identifying your desired physical attribute for the final product. Below is a list of things that should be evaluated before deciding on the resin to use. Once you have evaluated the above factors, the next thing is to choose the resin to use. There are many resins you can always count on if you want your specific needs customized. The following are the most common resins used in injection molding. Acrylonitrile Butadiene Styrene (ABS) is a type of resin commonly used in injection molding process because of its good mechanical strength and impact. It’s applied in different applications and in different industries from piping to automotive engineering. This resin is ideal for use in metal coatings and it’s mostly used in production of handles, shower tops and desktop devices. The only disadvantage of this resin type is the fact that it does not have a good resistance to chemicals. It should not be used in UV resistance or electrical insulation applications. This resin has a perfect chemical resistance and surface lubricity making it ideal for use in household, automotive and mechanical applications. It’s the best resin for production of bearings and gears. It’s not ideal for use in items that are exposed to high temperatures or heat. This resin provides outstanding impact strength and moisture resistance. This resin is found in housewares, electronic wiring, consumer goods and medical products. It should not be used in environments that have high temperatures. If you want your product to have customizable surface then this is the best resin to do that. It’s a type of resin that is popular in displays and merchandise use. Despite being flammable, you can still find different varieties that are flame-retardant. This is the most popular type of resin used in packaging, household goods, management of fluid and automotive use. It has a good resistance to heat despite being flammable. Its chemical resistance is also outstanding. general purpose materials or high temperature plastics . General purposes materials are plastics for products that donnot require specific demands such as resistance against high or low temperature, chemical resistance, that have a exceptional waer and tear characteristics. Think of ABS , PS or PP. usually these materials are used in low cost injection molding for example of toys ( of course lead free) , disposable cutlery . Triple-c , mold manufacturer has also experience with biobased plastics: read here more about this.